Ludlow is a walled and picturesque medieval town nestled between South Shropshire and the Welsh Marches. Described by John Betjeman as "the loveliest town in England", it is the ideal destination for a romantic weekend away. With charming Georgian houses strewn along a hill, overshadowing the River Teme and centred around the imposing might of Ludlow Castle, it is steeped in history. Brimming with indepedent shops and local markets - from antiques fairs to farmers' markets - you will find yourself lost in a world that seems older, quieter and slower than the racing rat-trap of modern life. 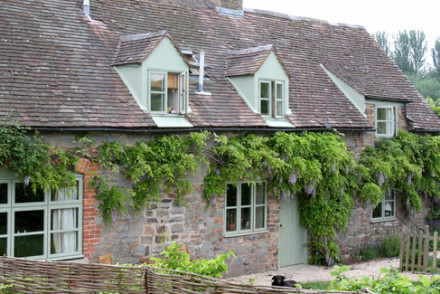 Some of the best places to stay in Ludlow are often just outside the town itself in the lovely Shropshire countryside. Within the old town walls, the historic centre of Ludlow is as old as it is beautiful. With over 500-listed buildings - a mix of medieval, Tudor and Georgian architecture - there is much to see. Ludlow Castle should be your first port-of-call, because it perfectly encapsulates this heady mix of architectural styles. 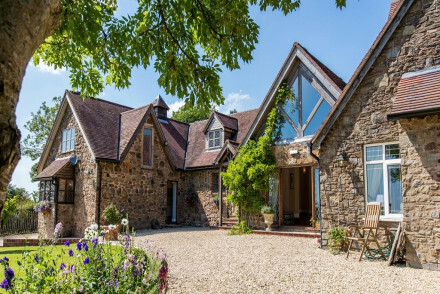 Originally built in the 11th-century by the Normans, it stands high on cliffs above the River Teme and provides gorgeous panoramic views of the Shropshire countryside. It was also from where the ill-fated Prince Edward made his way to London Tower, only to be murdered. St. Laurence's Church is also wonderful to behold and like the castle it was built in the 11th-century, while being added to further in the proceeding centuries. With a 135ft tower, it is the largest parish church in Shropshire and is known as the "Cathedral of the Marches". Ludlow Museum, found within the historic centre, spins a great historical yarn of the town, tracing the social and architectural history through creative interactive experiences. Ludlow proves also to be a great base from which to explore the hills of Shropshire and the Marches. The Shropshire Hills are an Area of Outstanding Natural Beauty and are ideal for a hiking holiday but if you're after a more gentle experience, go for a stroll in the Whitecliffe Commons. Ludlow is also home to many fairs, festivals and markets throughout the year. In Castle Square, there is a market nearly every day, whether it's the Farmers' Market or antiques fair. The real attraction is the Medieval Christmas Fayre - held between the 23rd-24th of November - which is not to be missed. Full of storytellers, falconry, folk musicians and duels between armoured knights. The Ludlow Food Festival, held in late September, is world-renowned and extremely fun to visit. Head over to Ludlow Castle and walk around the imposing Norman structure, admiring the gorgeous scenery of the rolling green Shropshire hills from your vantage point atop the cliffs. Go for a stroll in Whitecliffe Common and enjoy the panoramic views. Check out St. Laurence's Church, a pretty 11th-century church with a gorgeous 135ft tower. Go for a hike in the Shropshire Hills, an Area of Outstanding Natural Beauty. Browse the markets at Castle Square - one is held nearly every day. If you're there in late November, the Medieval Christmas Fayre is a real spectacle. An entertaining mix of good food, ale, storytellers, falconry, folk music and duels between armoured knights. 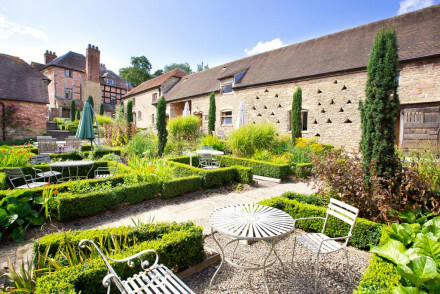 Our collection of the best places to stay in Ludlow tend to be small quaint properties with just a handful of rooms so in order to ensure your spot we recommend planning your trip well in advance. 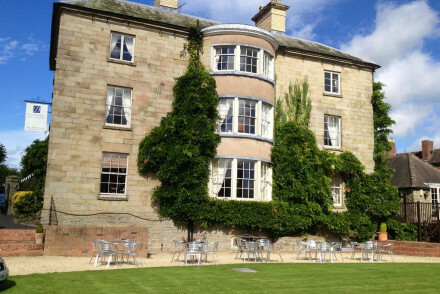 Dinham Hall: ideal for those looking to explore Ludlow, this gorgeous townhouse offers 13 traditionally furnished rooms and a fantastic gourmet restaurant. Old Downton Lodge: beautifully refurbished 18th-century farmhouse, offering 9 rustic-chic rooms with exposed wooden beams and four-poster-beds. Ideal for a romantic getaway. The Graig: a truly elegant B&B set in a beautiful country house, offering 5 luxurious and bright rooms. Ideal for a hiking holiday. Just 3 miles from Ludlow. Timberstone: an idyllic stone cottage welcoming families and hopeless romantics to its quiet hideaway location. A lovely rural escape. If self-catering is your preferred option we recommend you check out the options with our partner Booking.com. Trains run frequently from London directly to Ludlow with the fastest connections taking just over two hours. If you want to rent a car, contact to our partner Rentalcars. During the summer, the temperature in Shropshire is lovely and clement, ranging between 18 and 21 degrees.